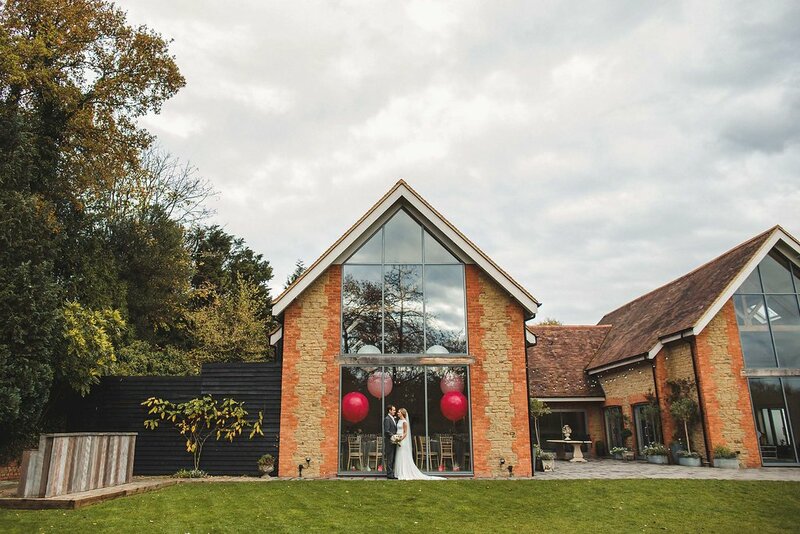 Are you newly engaged and looking for the perfect Wedding Venue for your Big Day? Well, in celebration of Valentines Day and all of you lovely couples who have just embarked upon your Wedding Planning journey, we have been organising a Valentines Viewing Evening. Taking place on Thursday 1st March between 5pm-8pm we are offering you the chance to book in an appointment with a member of our experienced Wedding Planning team who will take you on a tour around the Venue and accommodation, offering you the opportunity to have an in-depth chat about all things Millbridge Court Weddings. In addition to your viewing, there will also be members of our fabulous in-house catering team, Kalm Kitchen, on-site who will be available to chat to you about menu options and answer any initial questions you might have regarding your Wedding Breakfast. They will also be showcasing some delicious treats so you can get feel for their style of presentation and try some of their stunning food. Here at Millbridge Court, we currently have a few gorgeous Summer and Autumn Wedding dates still available for this year, so should you be looking to have a 2018 Wedding, our Valentines Event will be the perfect opportunity to come and visit us as our in-house Wedding Planners will be on-hand throughout the evening to discuss your initial ideas for your day, offer guidance and share details about our amazing suppliers list. Our viewing evening is by appointment only and couples will be booked in on a first come, first serve basis, so to ensure you don’t miss out, we recommend getting in touch with us as soon as possible to book your preferred appointment time. To do so, please do email us on team@millbridgecourt.co.uk; we very much look forward to hearing from you. In October of last year, Millbridge Court was lucky enough to host A+R’s beautiful Wedding Day which brought together a selection of really talented industry suppliers. With the Bride being a part of glamorous womenswear brand, Needle & Thread, she was no stranger to Wedding Fairs & the industry as a whole, so it was no surprise that the vision A brought to life on her Big Day was so stylish & elegant. The Barn’s looked so romantic adorned with floral arrangements made up of an abundance of hydrangeas & roses sourced by the Bride & created by Bex from a Blush Floral Design. They also had white, opaque Bubblegum balloons which were installed high on the beams & on each Dining Table & to further add to the minimal style of the day, the Bride & Groom chose to have ghost chairs for both the Ceremony & dining. A+R’s Wedding Cake was a real showstopper created by Rachel Hill which consisted of layers of delicious carrot cake, cherry bakewell & chocolate orange cake. And the sweet treats didn’t end there, with Kalm Kitchen creating a chic Patisserie Bar filled with delicate little Banoffee Puddings, Eton Mess, Raspeberry Mousse & Elderflower Jellies. Joining us for the day capturing all of those precious moments & the exquisite details was Chloé (Caught The Light). Her images are so stunning that they were even featured in Brides Magazine earlier this year; thank you ever so much for sharing them with us also.